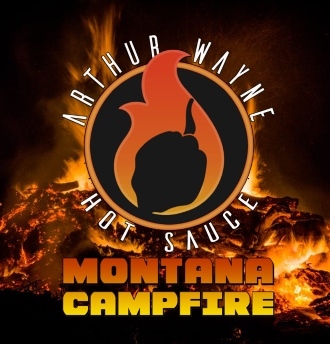 Montana Campfire is a hot Verde style sauce featuring Applewood Smoked Carolina Reaper, Fire Roasted Poblano, Avocado, Lemon, and other fine ingredients. A sauce you can use traditionally or try something new like beef stew or salmon fillet. Hot 8/10.